Full-bore acceleration in the Mercedes-AMG G63 is a little like watching a linebacker doing the 40-yard dash. How can so much mass sprint so quickly and so easily? 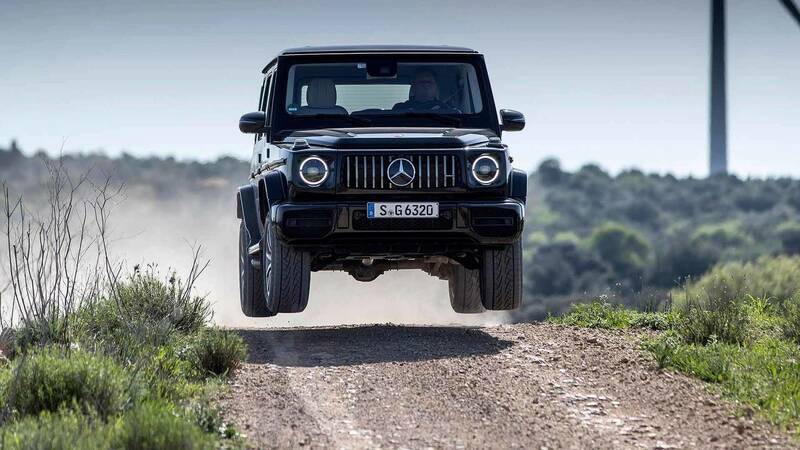 That’s the magic of the AMG versions of the venerable Geländewagen – and the 2019 model is more powerful, quicker, faster, and better to drive than ever before. It all begins with the same litany of changes applied to the standard G-Class for the 2019 model year. While there’s a longer explanation here, it boils down to this: the latest generation of the SUV is larger yet lighter, and more civilized on-road yet still a beast when the pavement ends. 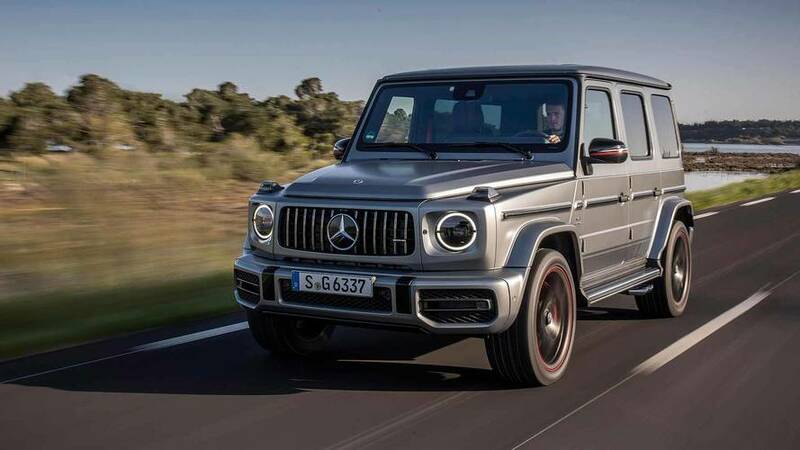 For the G63, the first major change is the adoption of a biturbocharged 4.0-liter V8 engine; like other applications of that mill in AMG cars, it’s hand-built by trained technicians in Germany. 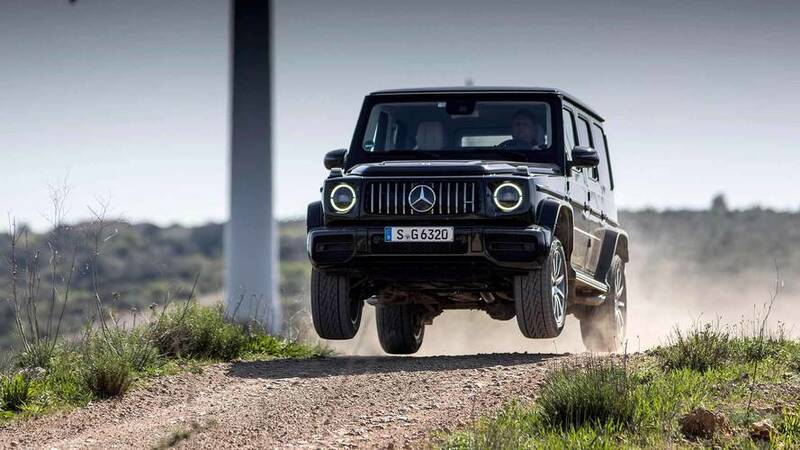 With 577 horsepower and 627 pound-feet of torque, it beats the old G63’s biturbo 5.5-liter engine by 14 hp and 66 lb-ft. Add in the fact that the new G63 has gone on a big diet (though an exact curb weight is not yet available) and now has a nine-speed automatic versus its predecessor’s seven-speed unit, and the sprint to 60 miles per hour improves by 0.9 seconds to just 4.4. The top-speed limiter also climbs from 130 to 137 mph by default; equip the AMG Driver’s package and it climbs again to 149 mph. Immediately noticeable on the road is how much less nervous I feel when using all that power. Now the engine, body, and chassis all feel like they work together as one harmonious unit. Much of that comes from improved stiffness, with G-Class rigidity up by 55 percent. The other component comes from the new independent front suspension and rack-and-pinion steering, which are better able to cope with driving fast. And fast it is. France, with its many speed cameras and super-slow limits through villages, is not really the ideal place to test out a super SUV. 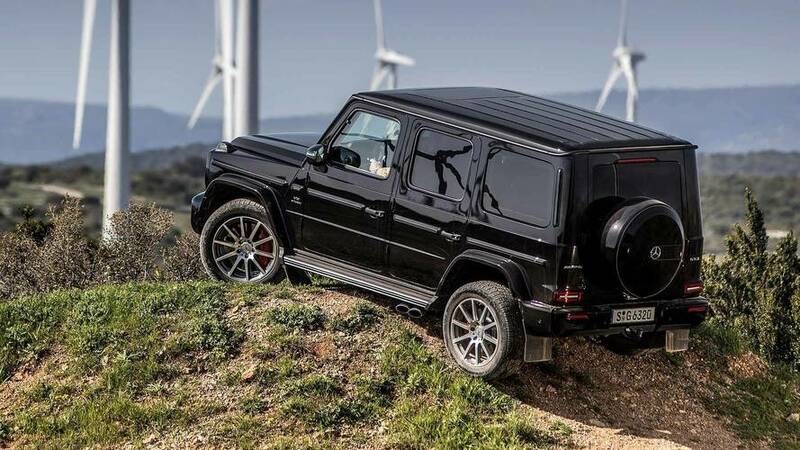 But it becomes a kind of game to use as much of the G63’s ability when possible: hard braking down to the 50 kilometer-per-hour (about 31 mph) limit entering a village, then a full wallop of V8 fury when departing on the other side of town. The engine is an absolute monster, never unpredictable in its power delivery, able to plunder a deep treasure chest of grunt in a split second. And that sound: turn the active exhaust from Balanced to the euphemistically named Powerful mode for a bellow and roar befitting a track car as much as an SUV. On twisty roads, though, is where I really sense that the G63 has evolved into something new. Dial up Sport+ to stiffen the dampers and the new front-end bits really do help me scythe through bends with more commitment. Gone is the squirminess and vagueness of before; it now feels like engine and vehicle work together rather than battling for dominance. Because the steering rack has a variable-ratio system, I enjoy lots of easy maneuverability without too much lock-to-lock effort at low speeds, while also experiencing plenty of straight-ahead stability on the highway. The four-wheel-drive system now sends 60 percent of the engine’s torque to the rear wheels versus the old model’s 50:50 split, which helps liven up the handling feel. Stopping the big AMG is easy, too, with a very progressive pedal and 15.7-inch front/14.6-inch rear rotors that are more than up to the job of scrubbing speed. 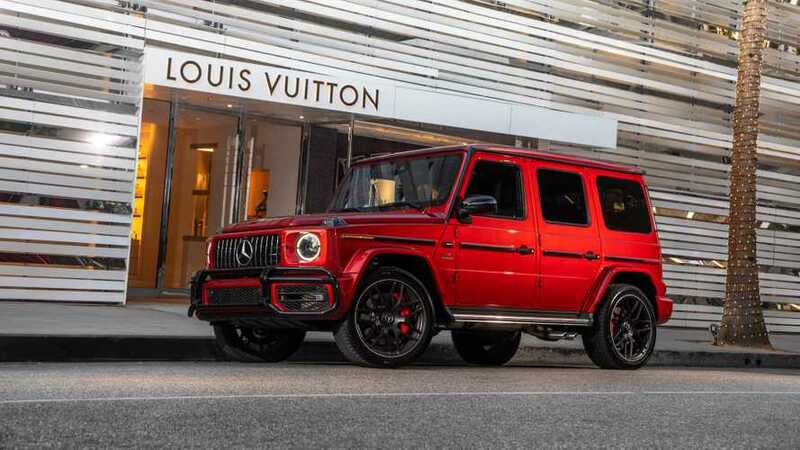 Visually, the G63 pops thanks to specific wheels, a unique grille, a fascia with enlarged air inlets, flared fenders, red brake calipers with cross-drilled rotors, abundant AMG and V8 badges, and exposed side-exit exhaust tips. I wrap my fingertips around a flat-bottom wheel that feels just as satisfying and sporty as ones in other AMG cars, cosseted in remarkably supportive sports seats. Carbon-fiber trim adorns everything, while options like contrast-colored stitching and Alcantara further dress up the cabin. 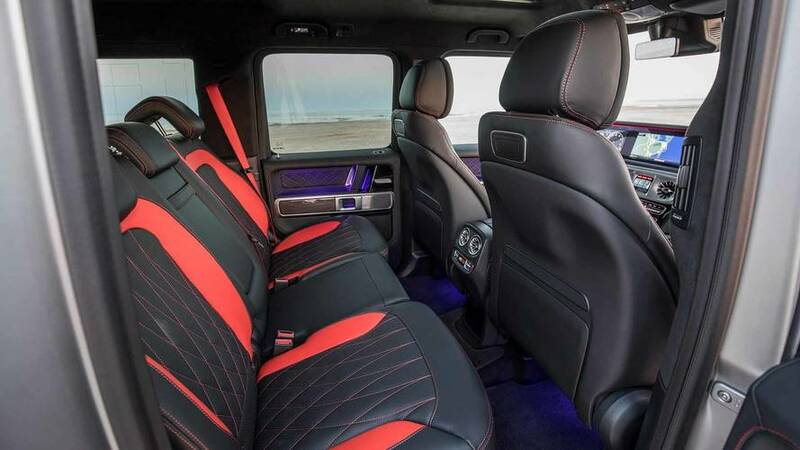 Also on offer is an Edition 1 special offering for the G63’s launch, highlighted by red accents on the mirrors and the 22-inch black wheels, plus red-contrast diamond stitching on the seats and a red 12 o’clock mark at the top of the steering wheel. Other upgrades inside the cabin mirror the 2019 G550: significantly more leg- and elbow room in both rows, a more modern dash design, and more technologies, including 12.3-inch displays for the instrument cluster and Comand infotainment system. A head-up display is not available, unfortunately; it would neither work with the G’s super-upright windshield nor fit inside the relatively short dashboard. Don’t think that all the focus on going fast on pavement has diminished off-road performance. The 2019 G63 will still out-perform most of its super-SUV rivals when the going gets tough, equipped as it is with three lockable differentials and 9.4 inches of ground clearance. 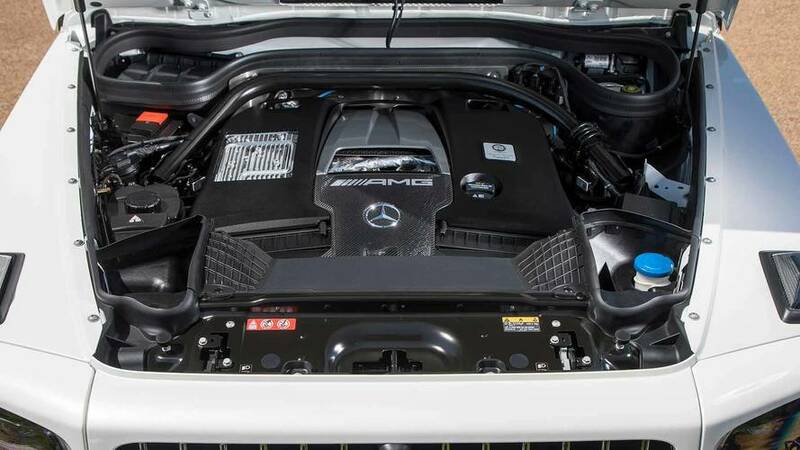 Still, the AMG treatment does incur a few penalties: for instance, because so much more cooling gear is needed up front, the fascia extends lower than on the G550, and thus the G63’s approach angle is 27 degrees instead of 30. Compared to the G550, the G63 actually has different off-roading tech to help: There’s a “Slippery” mode in the Dynamic Select options, and then when you lock one of the differentials, you can then further select Sand, Rock, or Trail modes to further customize all the electronics (damping, throttle response, transmission, steering) for the type of terrain you’re attacking. As in the G550, you also benefit from an electrically selectable low-range, tilt and inclination sensors, 360-degree cameras, and a water-fording sensor that closes the lower engine air intakes when you go splashing through puddles. 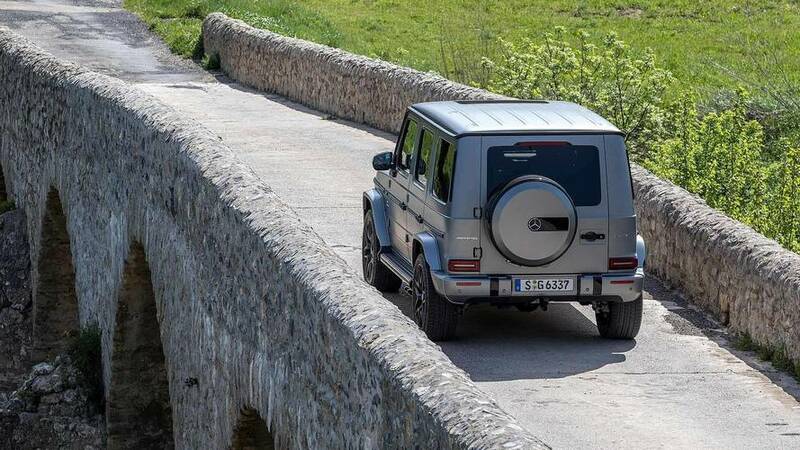 There wasn’t a whole lot wrong with the straight-line performance of the old AMG G63; it was already brutally effective. Now, though, the changes to the G-Class line as a whole allow the rest of the SUV to keep up with that mighty engine. It’s better to drive quickly on winding roads, and no matter how you drive, the improved interior and technologies make it a more appealing overall package. 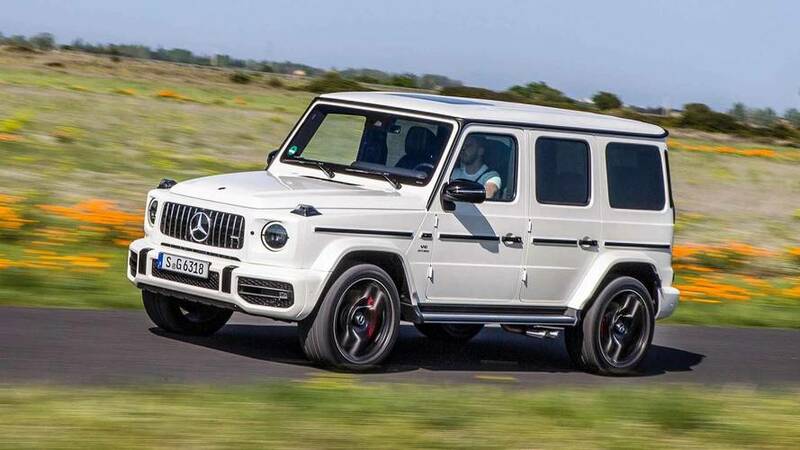 It’s still kind of tough to recommend buying the G63 purely as an on-road performance machine; for the money, there are many quicker and faster options out there that also deliver a more well-rounded luxury-ute experience. 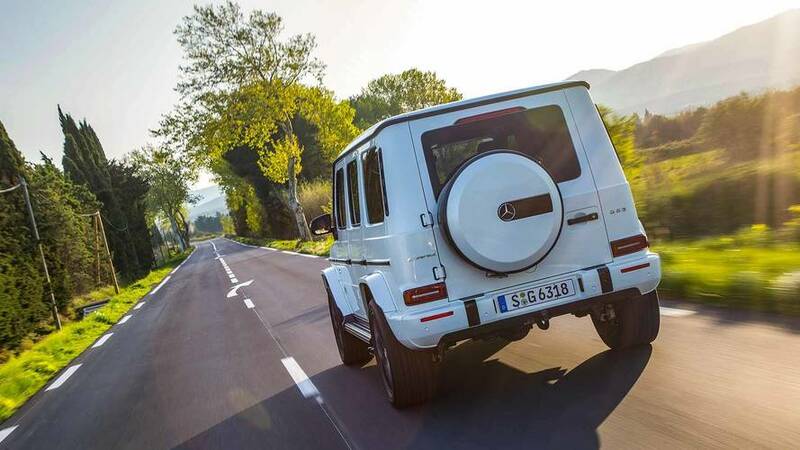 But as a way of making a statement, as a way of flaunting your get-out-of-my-way presence, and for the peace of mind that you could, if necessary, scale any nearby mountains, the 2019 Mercedes-AMG G63 remains one-of-a-kind in the absolute best way.